How do I login to the 2017 software with my 2016 login? If you used the 2016 H&R Block tax software last year, we’ve made it easy for you to log into our 2017 tax software this year and get started on your return. Remember: Online and Download accounts in our H&R Block tax software are separate. You need to create an account for each one (with different email IDs), if you want to prepare tax returns in each scenario. You can sign-in to the 2017 H&R Block Online tax software with the same username and password you used for the 2016 tax software. Not only is this convenient but, once you’re logged in, you’ll be able to automatically view the carry forward information associated with your account and import it into your 2017 tax return – saving you time! Note: If you’ve forgotten your username or password, click the Having trouble signing in? link on the 2017 Sign in page. Follow the prompts to recover your username or password. You will receive an email from H&R Block Canada with your username or a link to reset your password. Follow the instructions in the email to sign-in to the 2017 H&R Block Online tax software. If you created a 2016 Download software account last year, you can skip the 2017 Download software registration process to save time. Follow the steps below to sign-in to your 2017 H&R Block Download tax software. Important: Before you begin, be sure to uninstall your 2016 H&R Block Download tax software and install the 2017 version. On the Register your software page, click the Sign in to your account link. 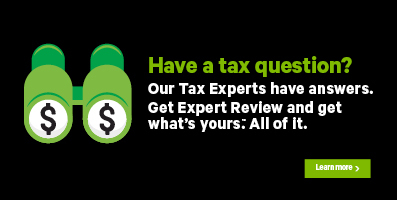 Enter the email or username and password you used for the 2016 H&R Block tax software and click Sign In. Note: If you’ve forgotten your email/username or password, click the Having trouble accessing your account? link. Follow the prompts to recover your email/username or password. You will receive an email from H&R Block Canada with your email/username or a link to reset your password. Follow the instructions in the email to sign-in to the 2017 H&R Block Download tax software.